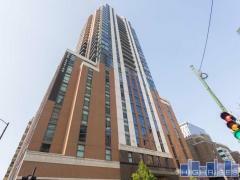 1660 is a popular Lincoln Park 42-story high-rise with 492 one, two and three-bedroom homes. This is a full-amenity building with a pool, fitness center, 24-hour doorman and club room. Garage parking is available for lease and pets are welcome. Have any comments or questions about 1660 Condos? Ask your question and/or share your thoughts about this Building.